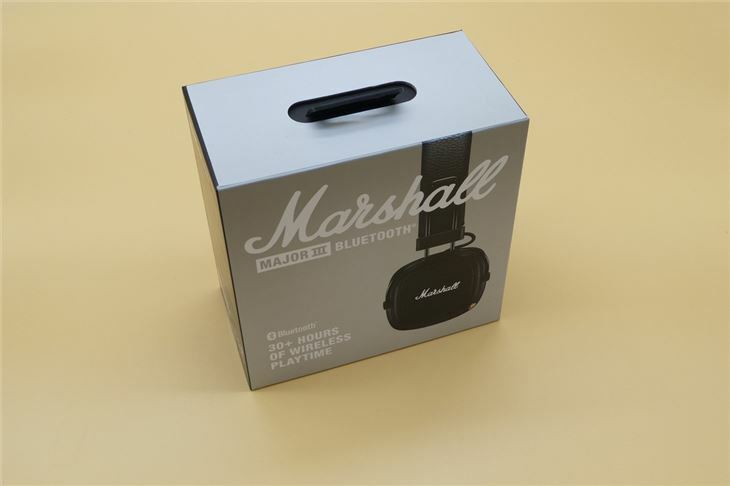 Marshall is a British audio brand best known for its iconic amps, so it makes sense that it's based the design of the Marshall Major III earcups on the product that made it a household name. 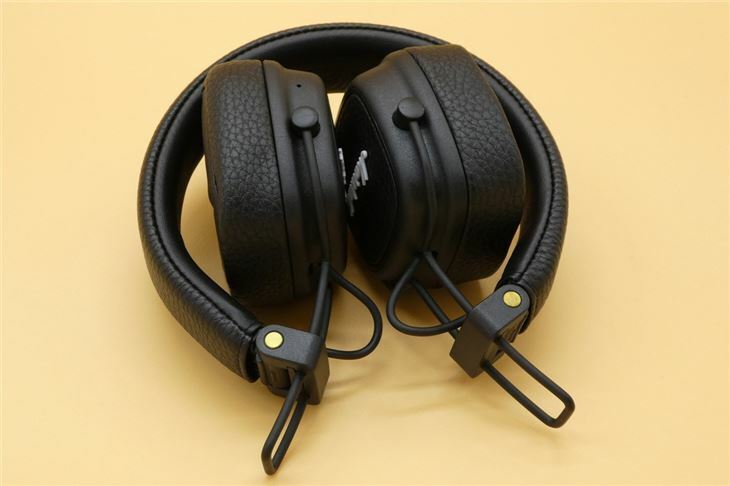 The lightweight headphones are ever-so-slightly slimmer than the previous Major II headphones, and come in two variations: Bluetooth and wired, with the latter option being considerably cheaper. As the name suggests, the headphones are Bluetooth and foldable, making them perfect for commuters. And, as you'd expect from a brand like Marshall, the sound quality is exceptional and you'll get 30+ hours of music on a single charge. The Major III are ideal for those who want a set of headphones that set them apart from the crowd, heralding back to the rock heritage that the Marshall brand was born from. There are three colour options (white, black and red). We tested a black pair but if it came down to our personal preference, the brown set really does look ace. They fold in on themselves, making them very easy to travel or commute with - however, they don't come with any kind of carry case. The headphones feel very lightweight, yet durable. The headband is slim and doesn't dig into our head even after extended durations, while the sturdy adjustment sliders offer a decent amount of size customisation. Although, as with pretty much every set of on-ear headphones we've tested, the Major III do have a tendency to feel like they're pinching on our ears after a while. 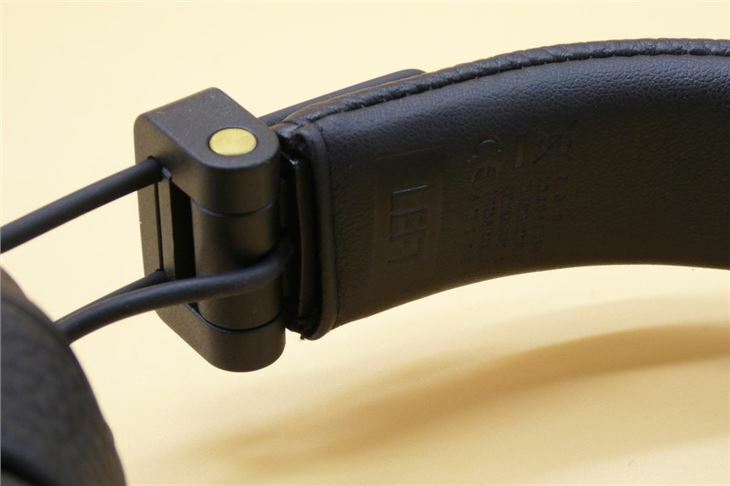 Like the Marshall Major III's predecessor, the slightly chunkier Major II, these headphones have a leather-look. But animal-lovers have no need to boycott the III as they’re actually made out of a vinyl material. There's only one control on the headphones; a multi-directional joystick button on the left earcup which can be clicked to turn the Major III on, play/pause music and answer/reject calls. Push it forward and back to adjust the volume or skip songs and shuffle your music by pushing the button sideways. All in all, the singular control button simplifies the headphones, but it does take some time to get used to it. After three days, we were still changing the song by accident when trying to adjust the volume. As for the detachable wire, it feels fairly strong with a coiled section and a one-button, in-line control. A provided micro USB charges the Major III when they run out of juice, but the 3.5mm sockets on both ends of the cable mean the headphones can be plugged in for use even when they're out of power. While listening via Bluetooth, another set of headphones can also be plugged into the Major III via the 3.5mm socket - so you and a friend can listen to your music on two separate pairs of headphones. The sound quality is pretty good and offers a warm, well-balanced listening experience, but the III are Marshall's entry-level option (sitting at about £125 on Amazon) and, as such, don't offer the wider sound scale you'd get with higher-end headphones. Audiophiles will almost certainly find the headphones lacking, but for the average listener - the Major III offer a very clear, punchy sound. Etta James' Sunday Kind of Love is wonderfully crisp, with the quiet piano in the background and the highs of the violins coming through well. Where the Major III really shine are rock and indie music, that's what kicked the brand off in the first place, after all. The 40mm dynamic drivers reproduce the mids and highs of guitars, high-hats, vocals and wind-instruments well - meaning that blues and rock sound lush and expressive. But the III aren't bass-heavy headphones, nor do they claim to be. If your preferred music leans more towards house, R&B or hip-hop, these won't offer the rich bass you'll want. 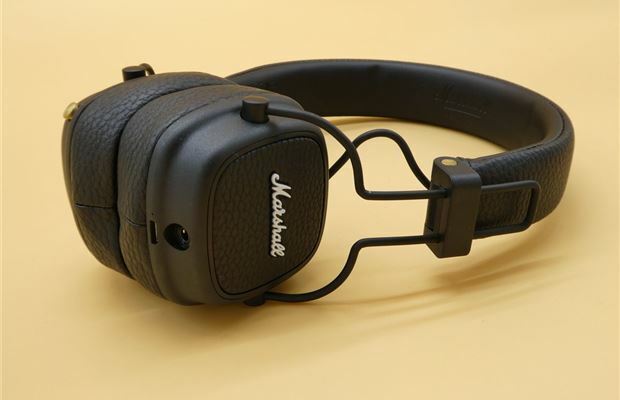 You're better off buying a different set of headphones if that's the case, like the Marshall Mid Bluetooth, which also look a bit sleeker in our opinion. 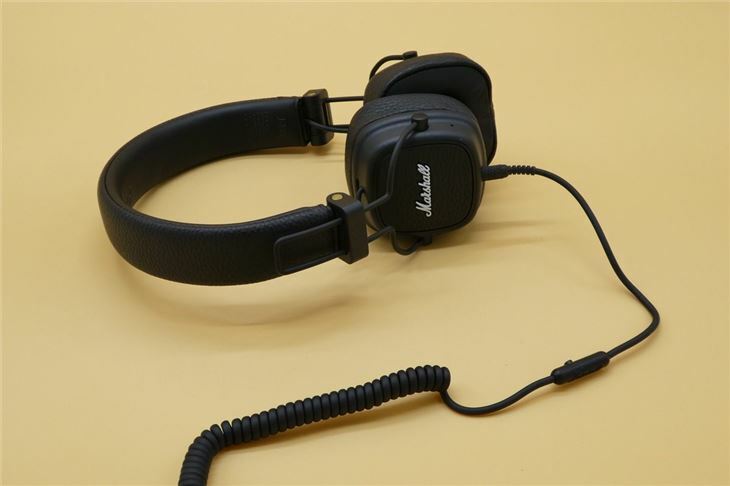 For an office environment, the Major III aren't particularly good at drowning out noise like conversations and phones ringing - which isn't surprising considering you don't get Active Noise Cancellation (ANC) at this price. Isolation of external noise is decent, with noises like the radio in the background, the hum of the air con and typing being mostly blocked out - but then again this isolation is good because of the Major III press fairly tightly against our ears. We can wear them for a few hours without too much issue, mainly due to the smoother vinyl material and soft fabric on the inside of the earcups. But they aren't exceptionally comfortable for long periods of time - like a long-haul flight, for example. There's very little noise leakage though, meaning our coworkers didn't have to listen to our playlists when the volume was turned up loud. They charge in half the time that the Major II do, fully charging in about three hours and lasting 30+hours (at medium volume). The Bluetooth range is 10m, which is more than enough for us to go make a cup of tea with headphones on across the office. 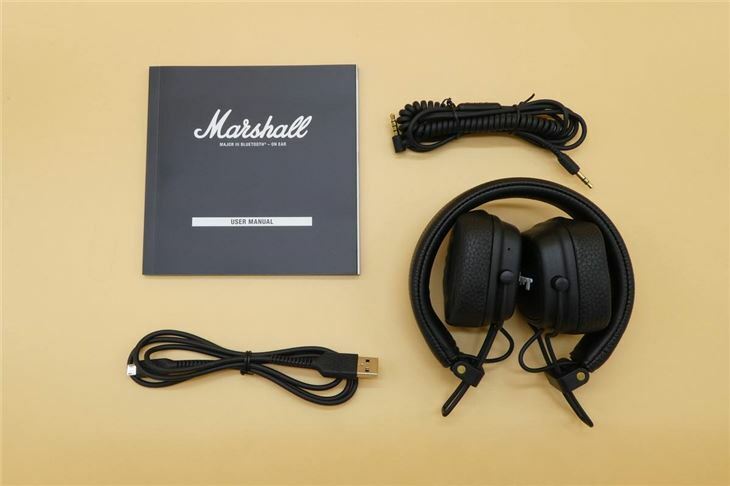 The Marshall Major III Bluetooth are a great pair of wireless, on-ear headphones with an iconic design and an arguably even more iconic sound signature. They're mid-range in comparison with other Bluetooth, wireless headphones and once you add in the long battery life, you have very well placed set of entry-level headphones. It isn't all good news; they squeeze our head after three(ish) hours and we can't decide if we like the single control button more than two or three buttons on earcups, although we like the intention to simplify the design and make the Major III reminiscent of Marshall's famous amps. For those who listen predominantly to guitar music, they're ideal.